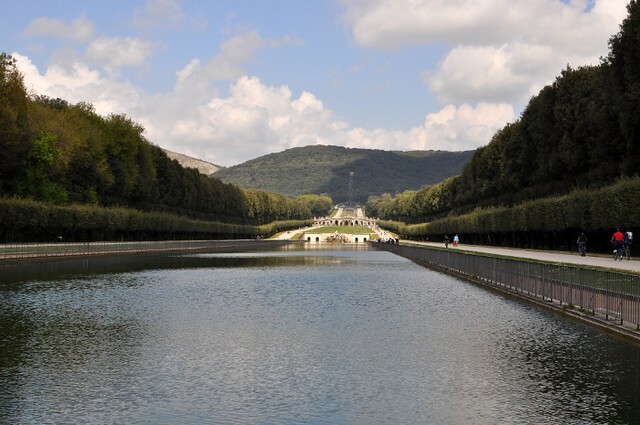 The Royal Palace of Caserta (Reggia di Caserta) was constructed for the Bourbon kings of Naples. 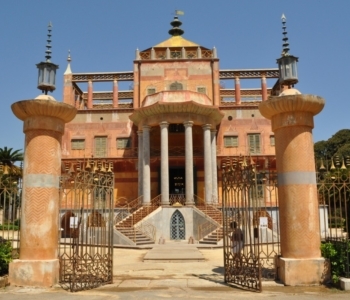 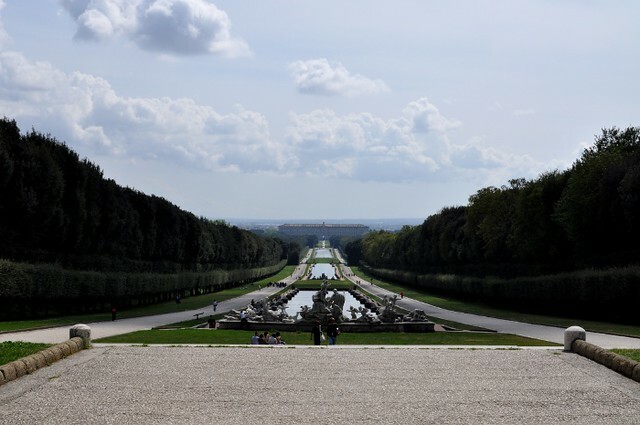 The construction of the palace was begun in 1752 for Charles VII of Naples, who worked closely with his architect Luigi Vanvitelli who used as model Versailles. 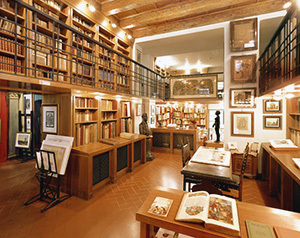 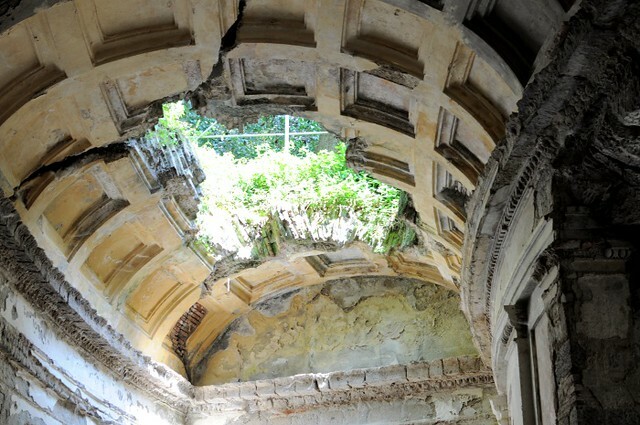 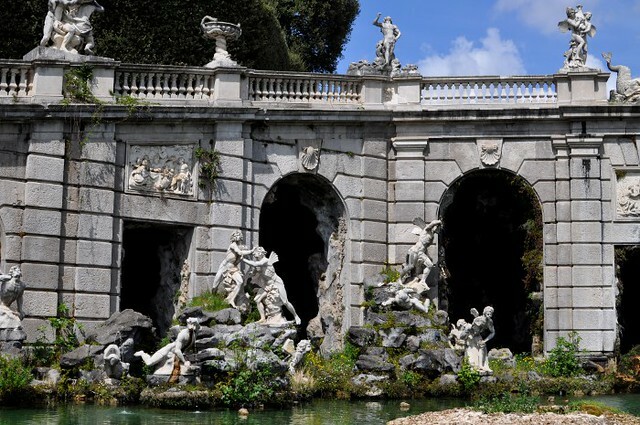 Vanvitelli died in 1773 and the construction was continued by his son Carlo and finished in 1780. 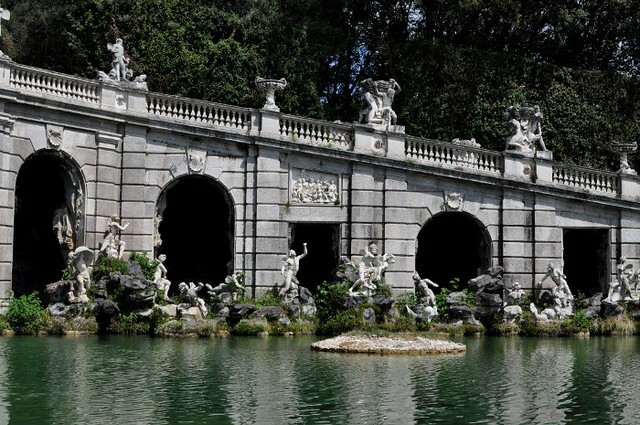 Charles VII of Naples never slept a night at the Reggia, as he abdicated in 1759 to become King of Spain, and the project was carried to completion for his third son and successor, Ferdinand IV of Naples. 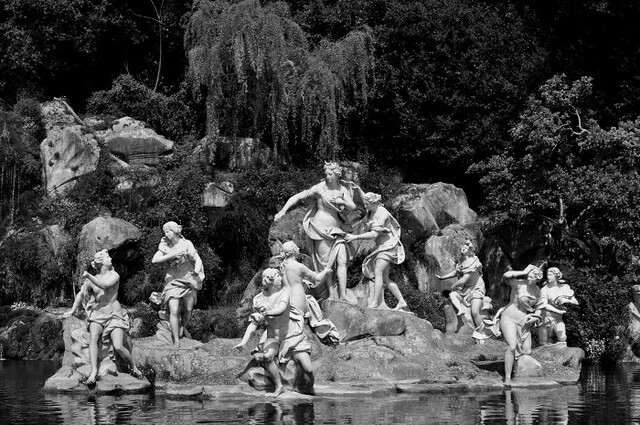 Pictures can’t show enough the majesty of this park but I tried the same to capture the astonishment feeling that I felt visiting it. 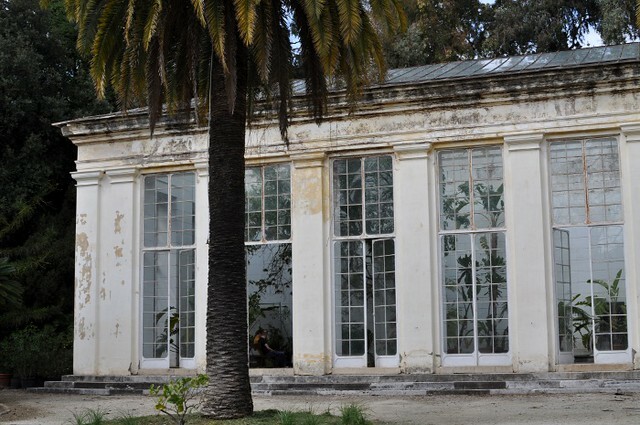 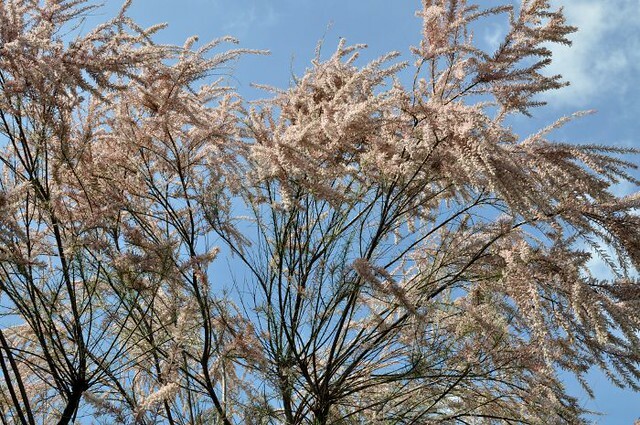 Pictures of the Palace’s interiors soon. 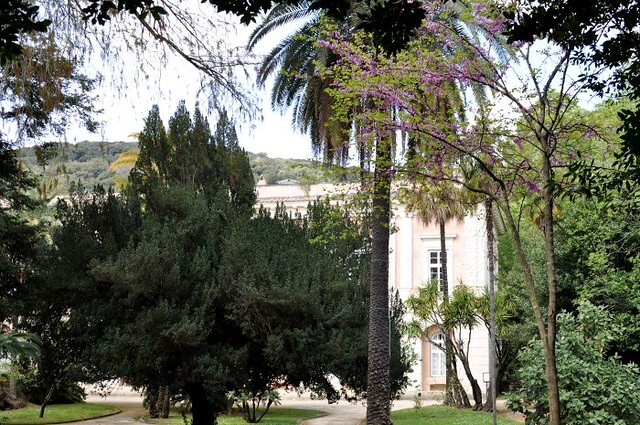 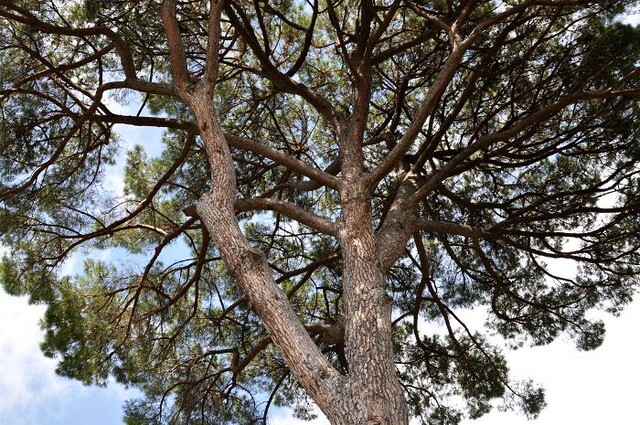 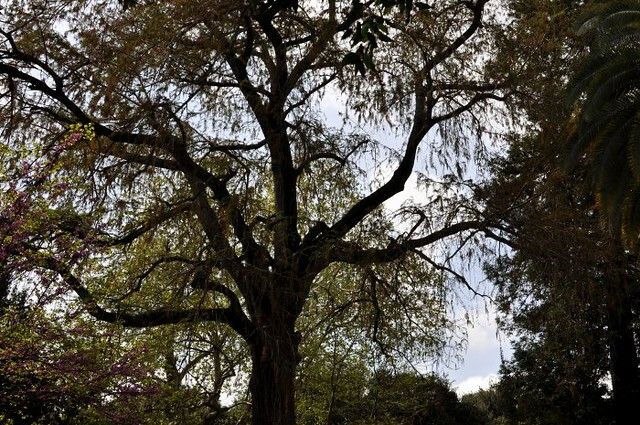 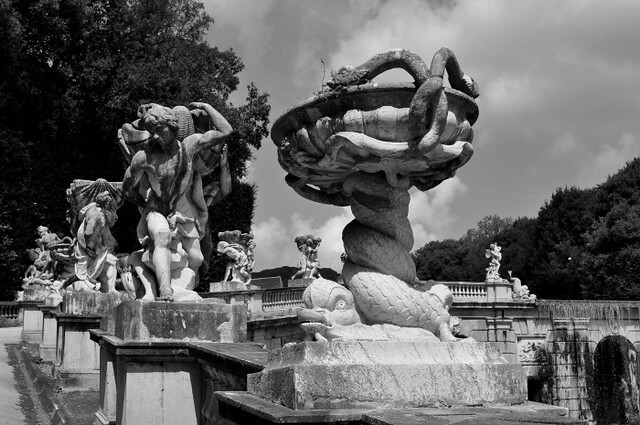 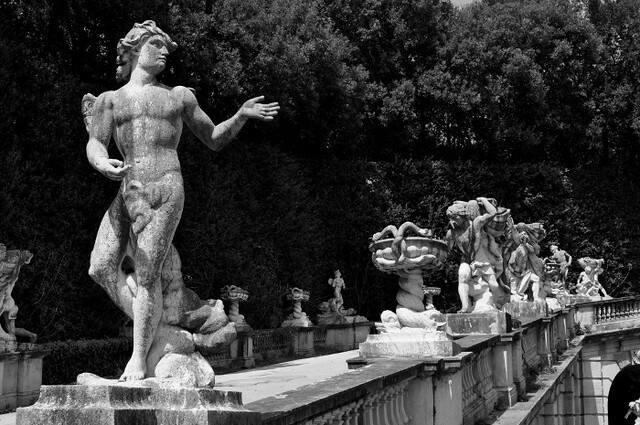 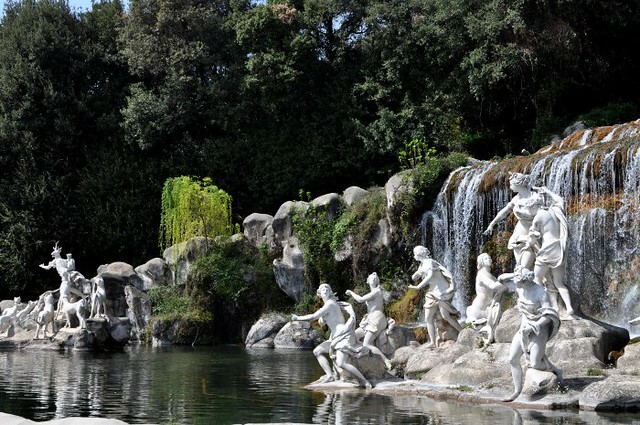 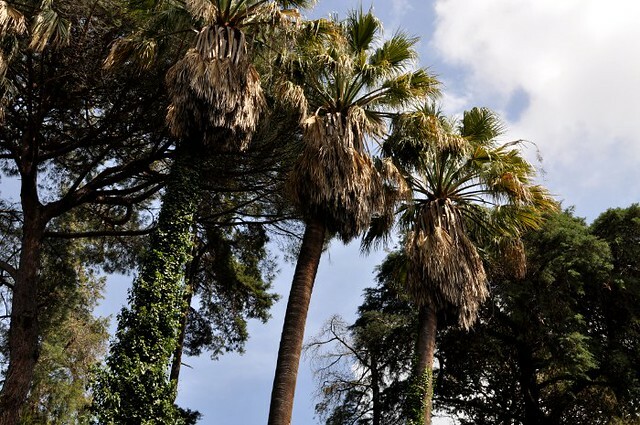 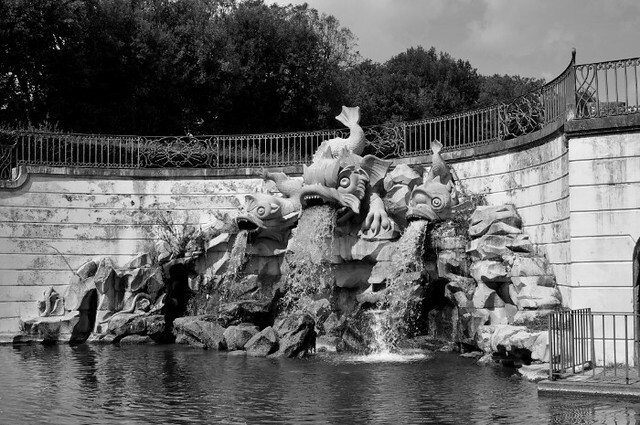 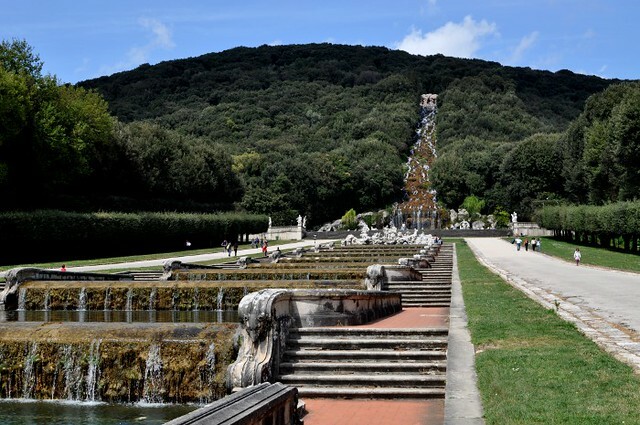 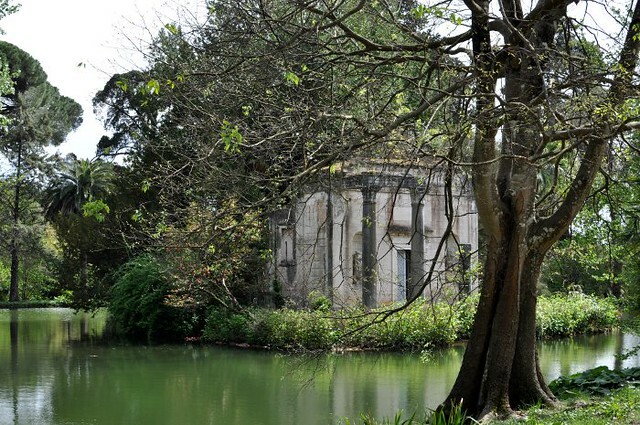 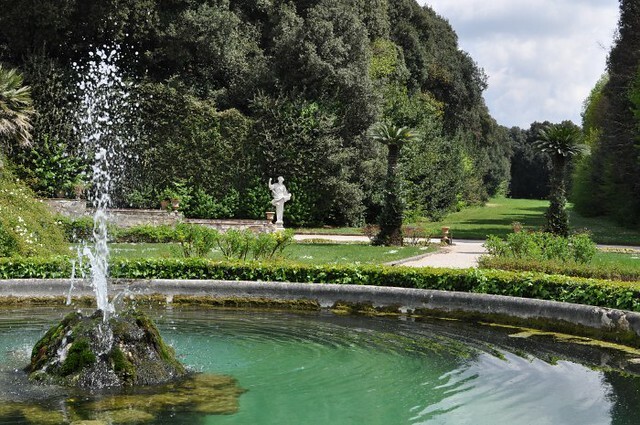 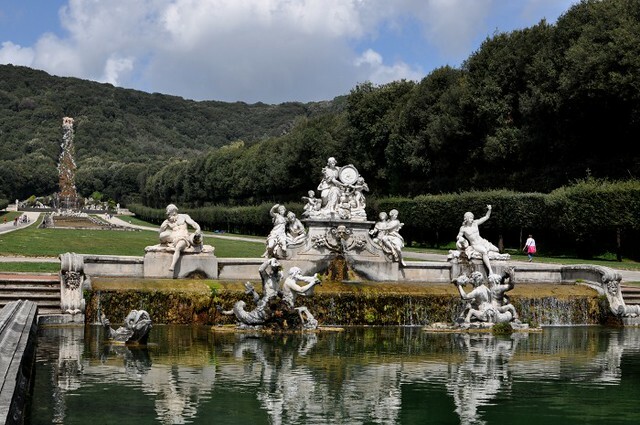 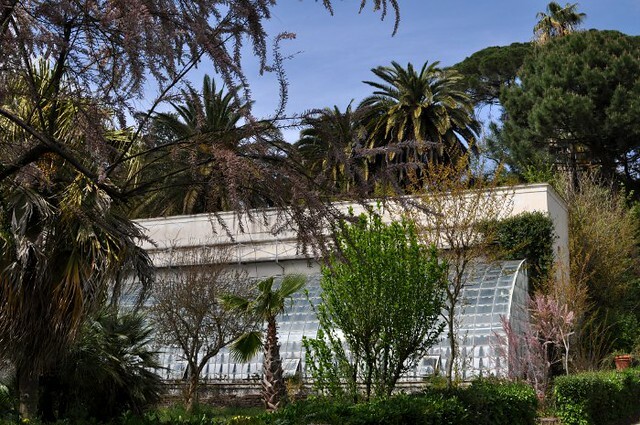 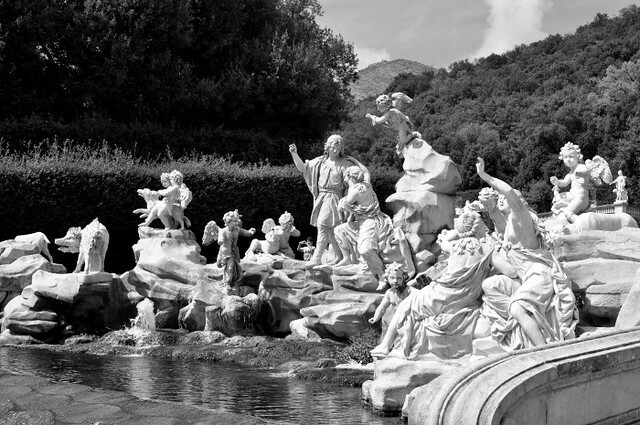 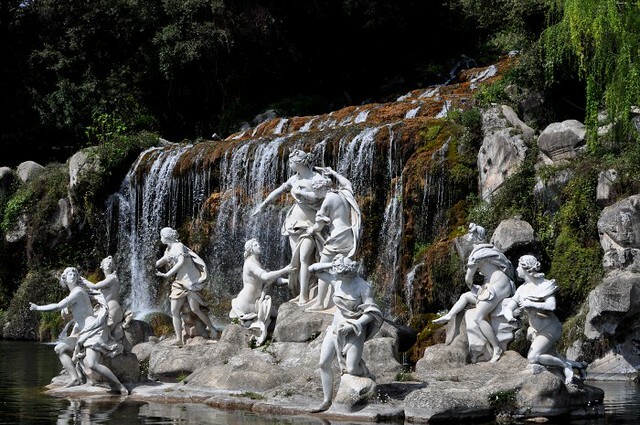 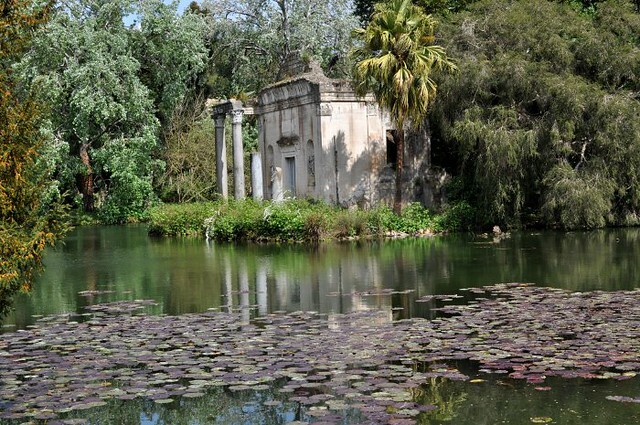 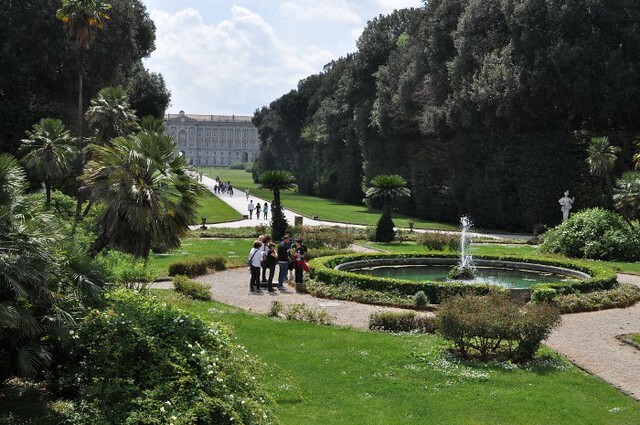 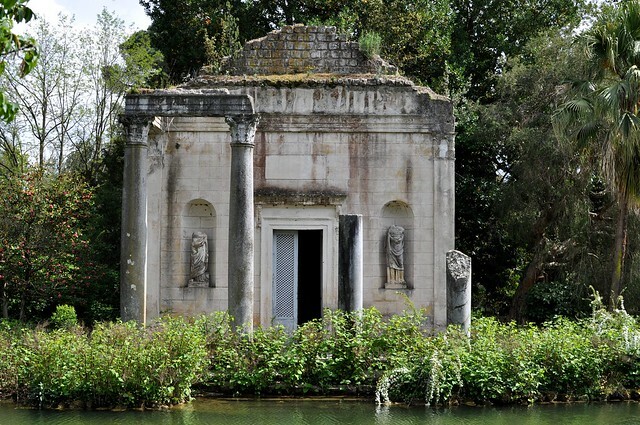 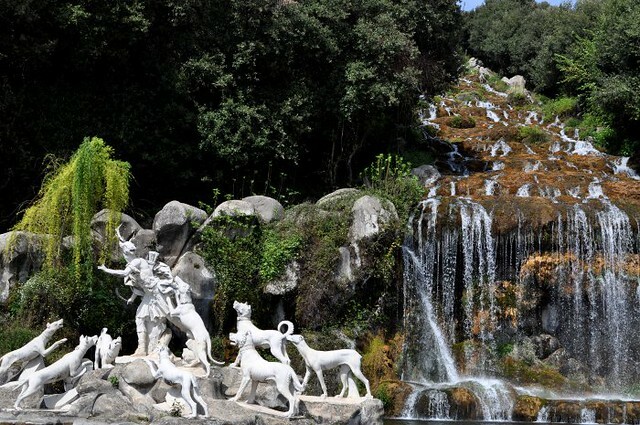 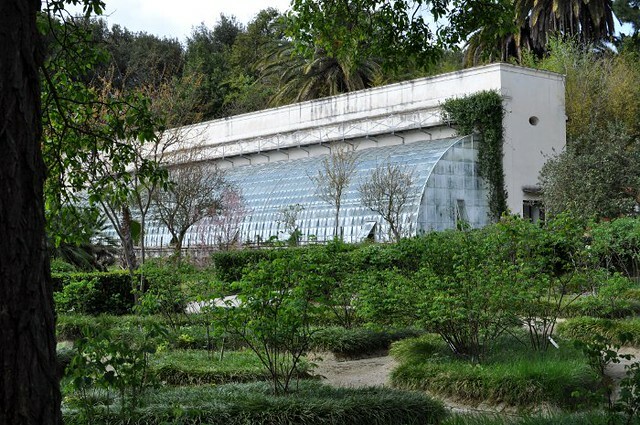 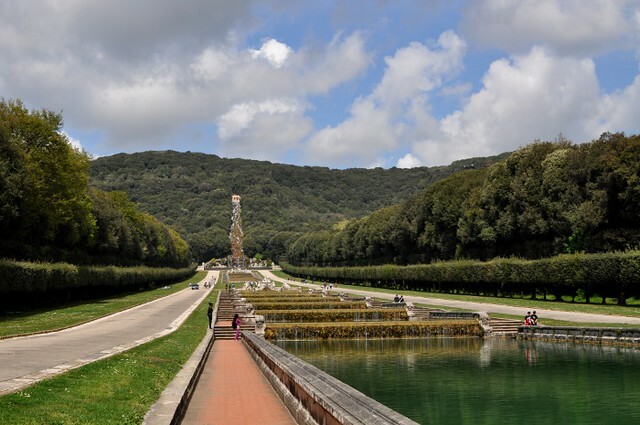 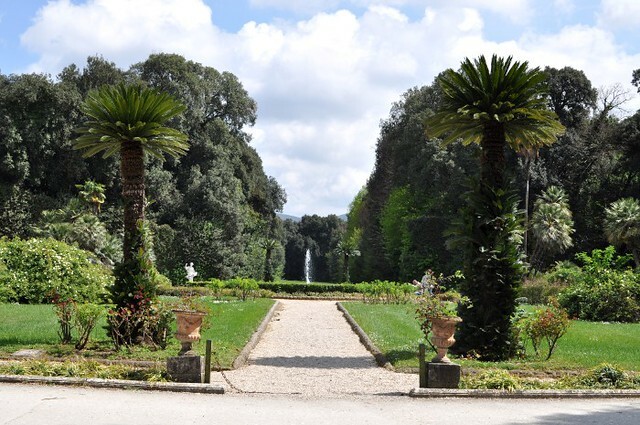 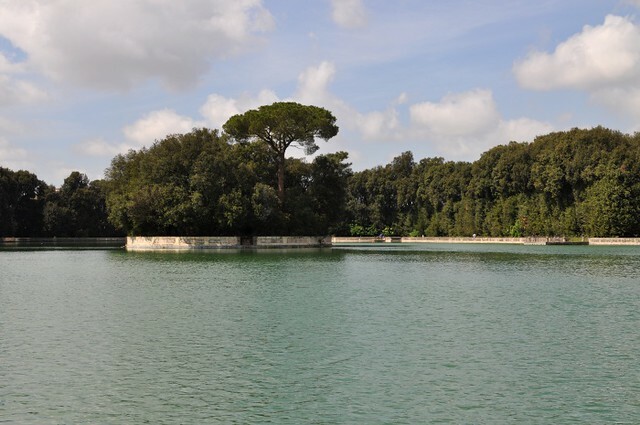 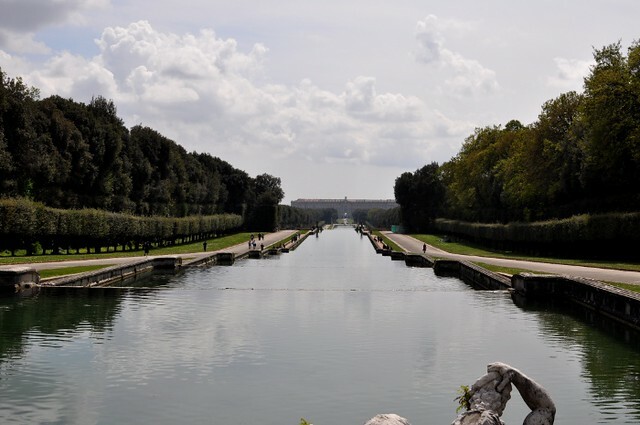 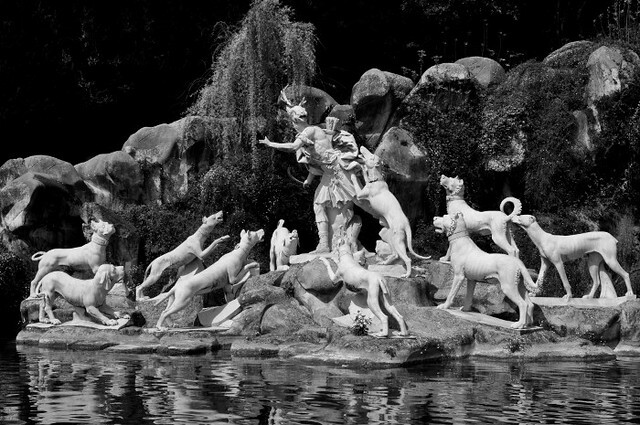 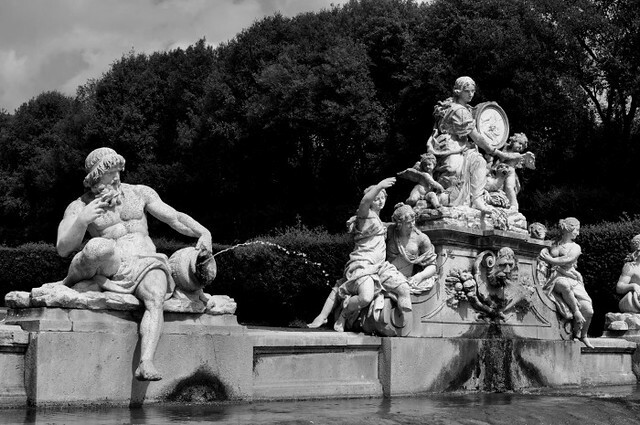 The park of the Royal Palace of Caserta goes on for 3 kilometers. 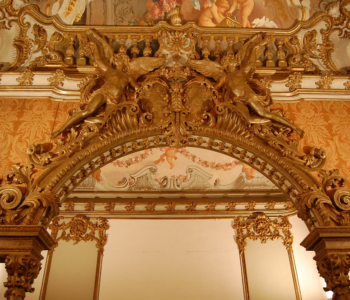 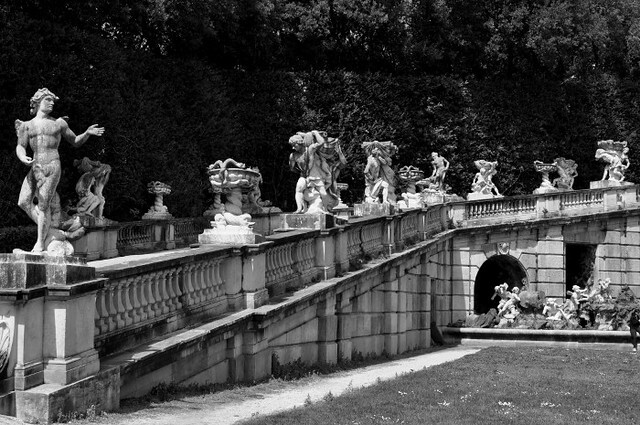 It was inspired by the park of Versailles and it’s a typical example of the baroque extension of formal vistas. 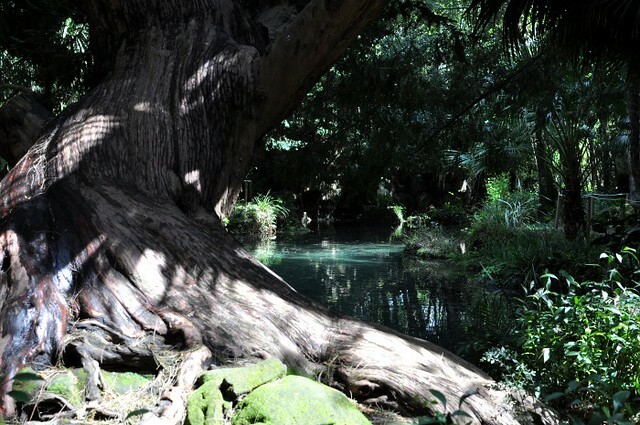 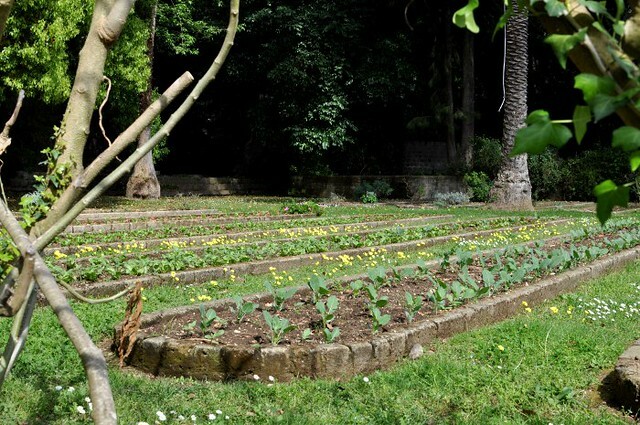 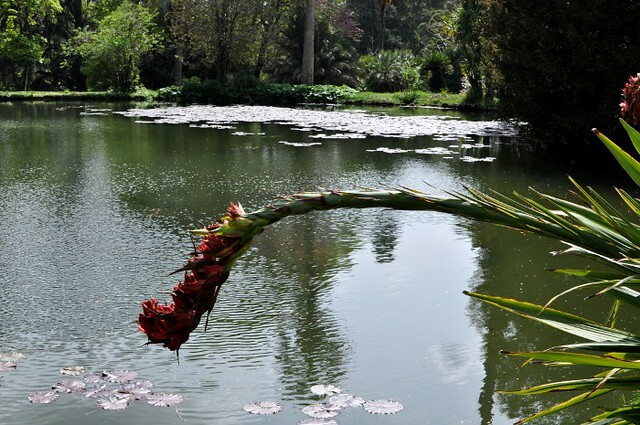 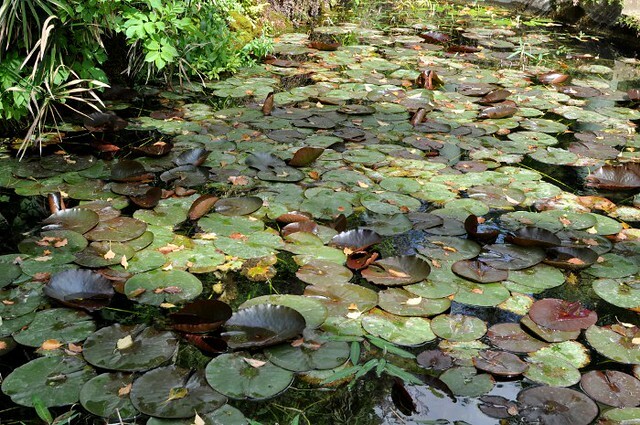 The garden was conceived as an upward path from the ground to the source of the water, symbol of life and birth. 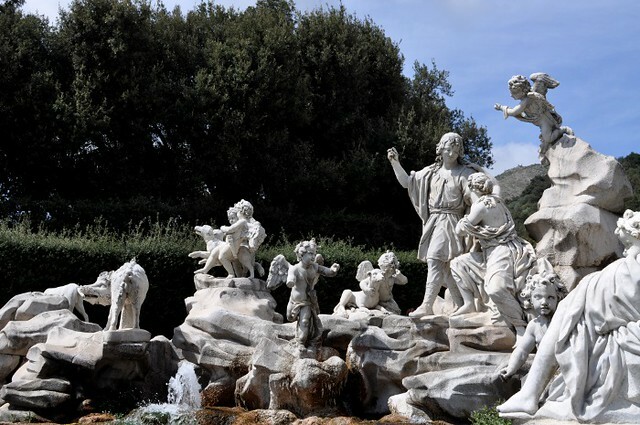 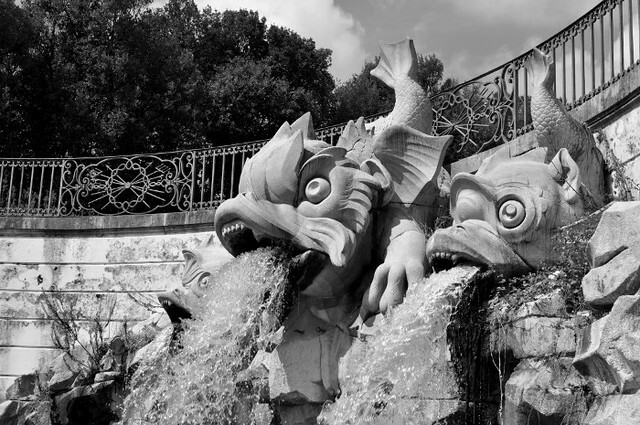 Walking along the way, up to the final Big Fountain, you’ll flank a long alley with artificial fountains and cascades, only interrupted by big groups of sculptures. 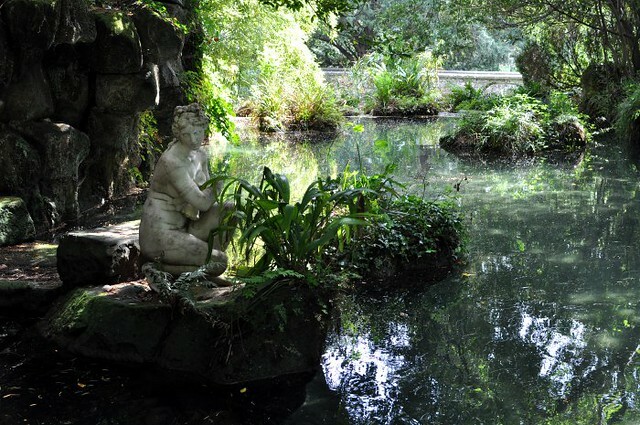 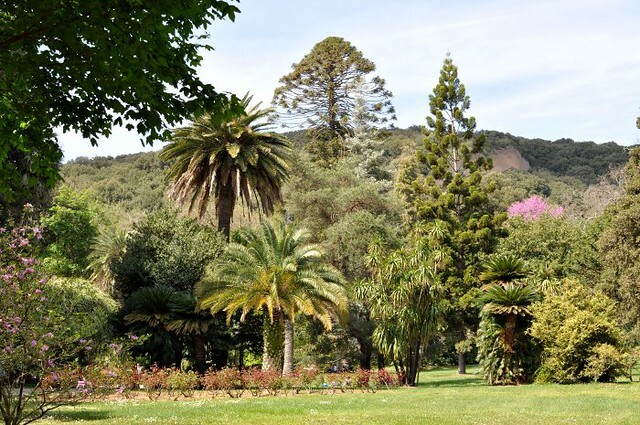 Inside the park, at the end of all the fountains and cascades, there is a botanical garden, called “The English Garden”, designed in the 1780s. 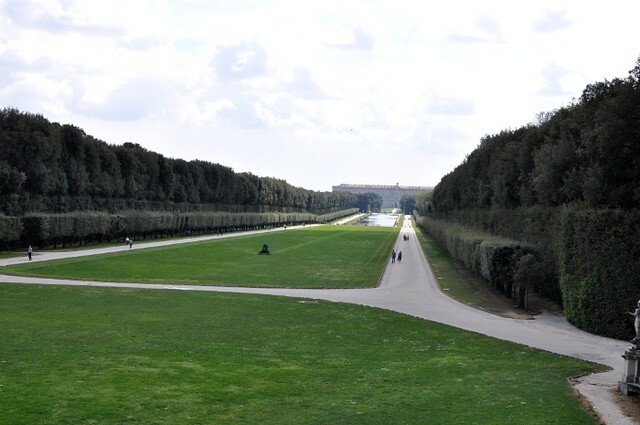 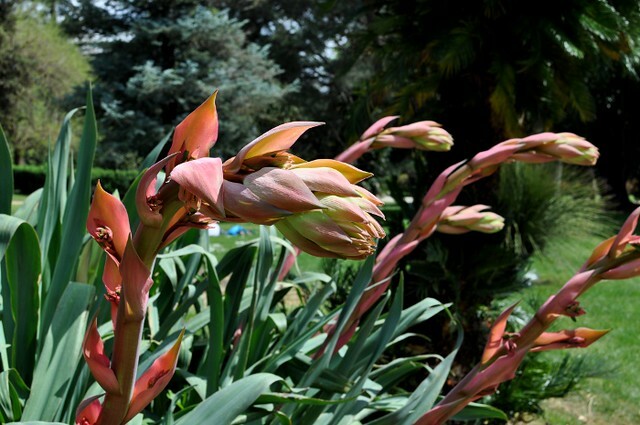 Queen Maria Carolina of Austria, Ferdinando IV’s wife and Marie Antoinette’s sister, wanted a garden in the english style and entrusted the task to the German-born botanist, nurseryman, plantsman-designer John Graefer. 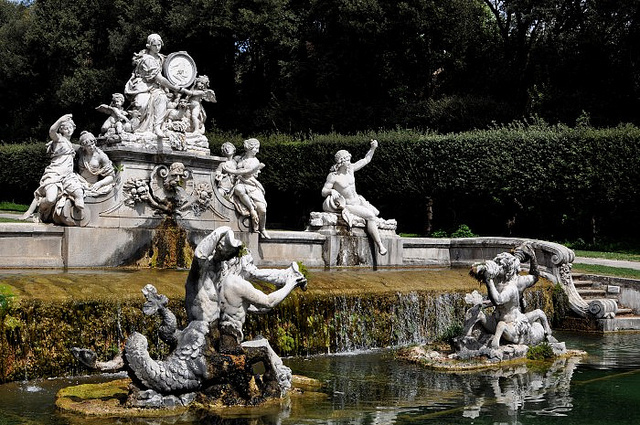 The english garden was a new way of landscaping which emerged in England in the early 18th century and replaced the more formal, symmetrical italian renaissance garden. 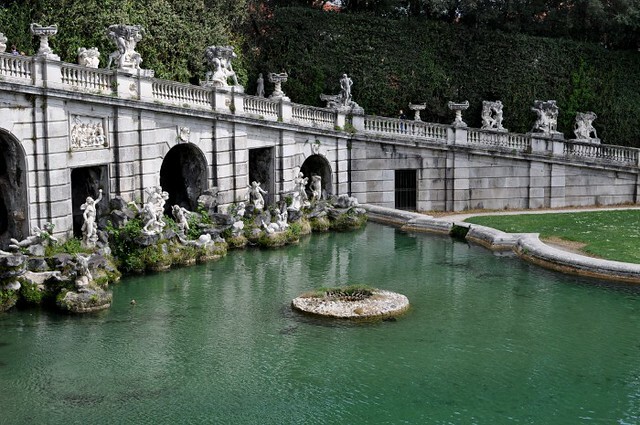 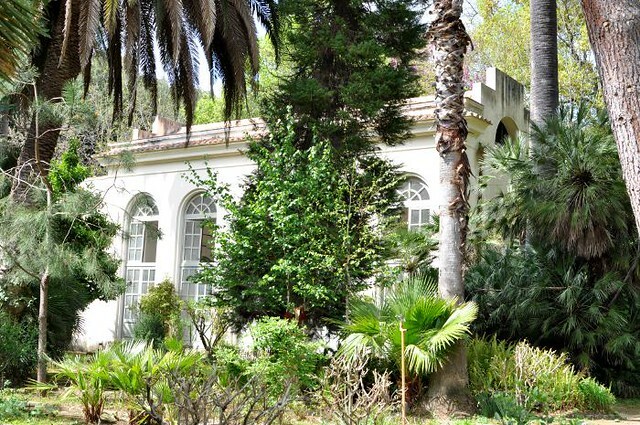 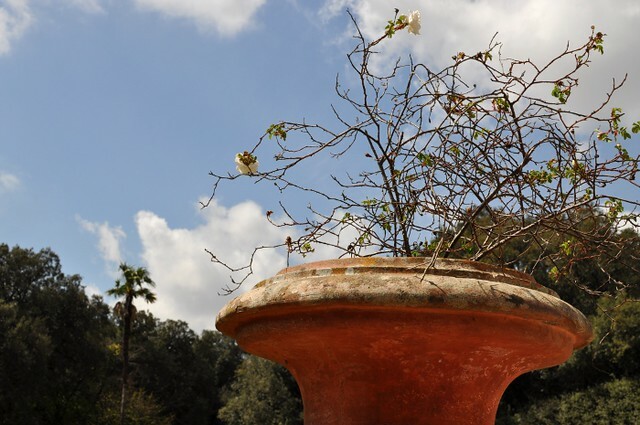 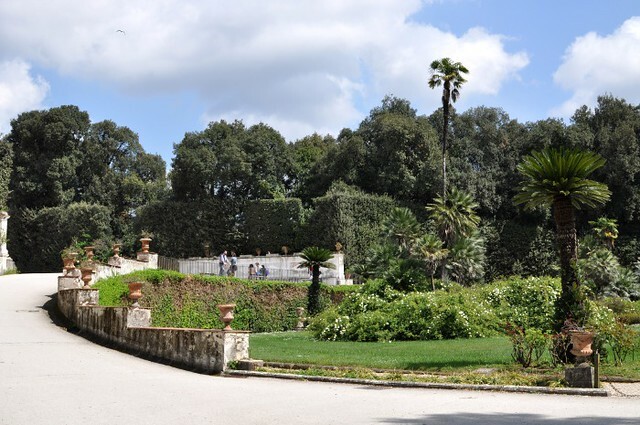 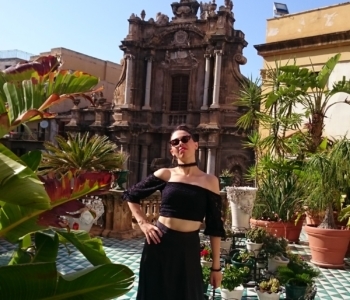 Unlike the italian garden, the english one was inspired by Romantic ideas about an idealized view of nature and featured grottoes, temples, tea-houses, belvederes, pavilions, sham ruins, botanical curiosity and flowers.